Join us for a concert under the stars at the Mattie Kelly Arts Center Amphitheater featuring Forrest Williams and I'MAGENE. 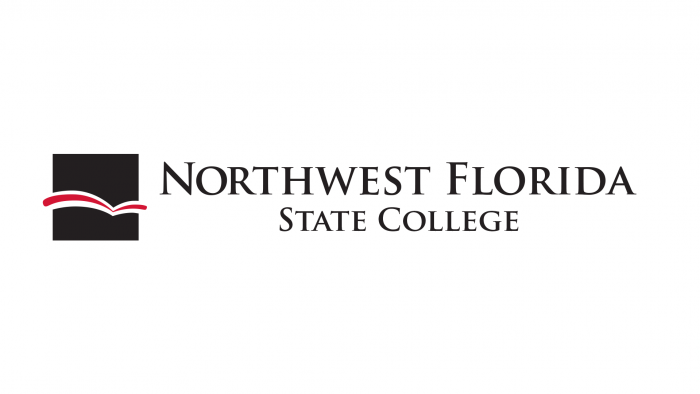 Join the Northwest Florida State College Division of Humanities, Fine & Performing Arts in the Tyler Recital Hall for their biweekly recital. Admission is free! 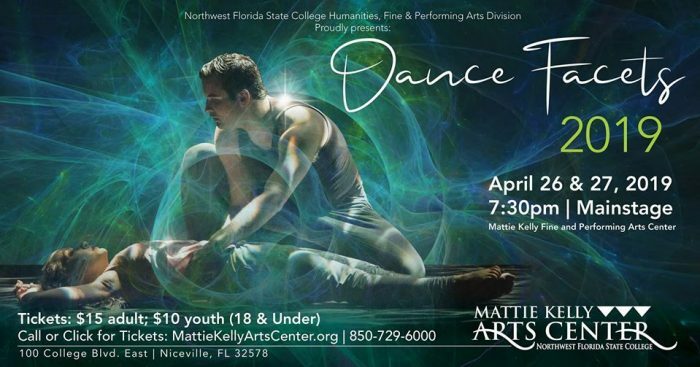 Dance Facets is an annual dance program concert. Many styles of dance are featured, from ballet to jazz, and contemporary to tap. Each year is very different and exciting! Please join us for an extraordinary evening of dance. 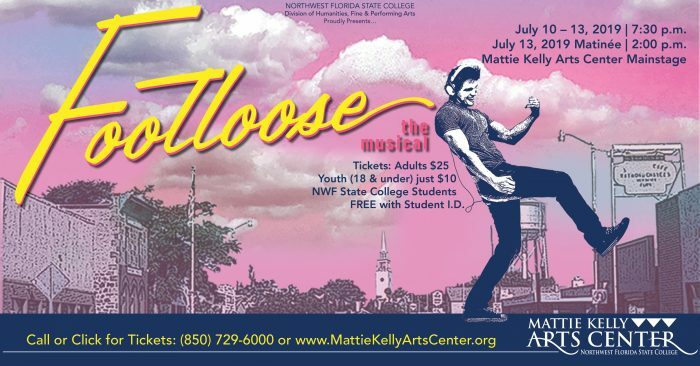 Tickets are $15 for adults and $10 for youth ages 18 and under. 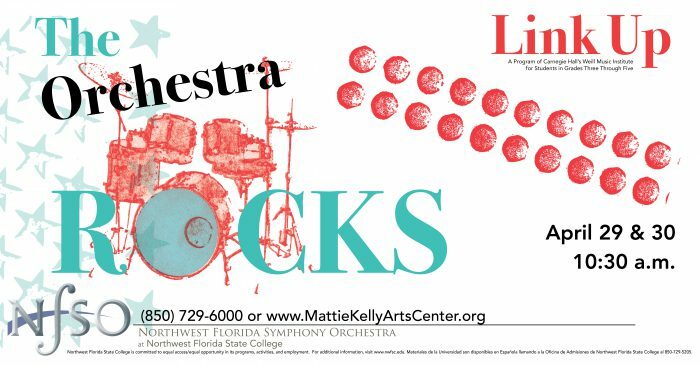 Orchestra Rocks is the end-of-the-year performance for local students who participate in the region’s first Carnegie Hall Link Up! program. 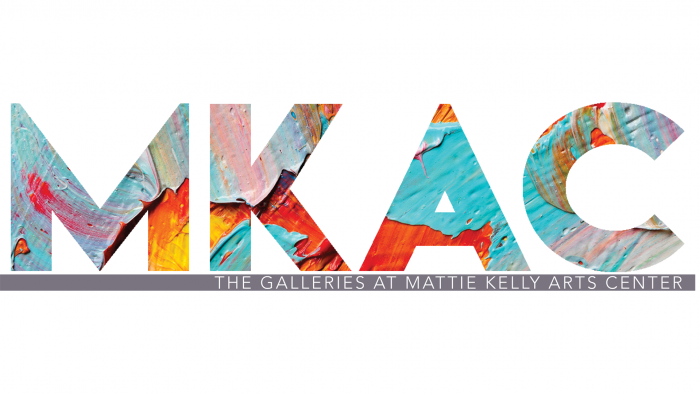 The program features a year-long music curriculum & fun classroom activities that culminate in this interactive concert with the NFSO at the Mattie Kelly Arts Center. Contact Lynne Fehrenbach, NFSO Education Director at fehrenbl@nwfsc.edu for Link Up! 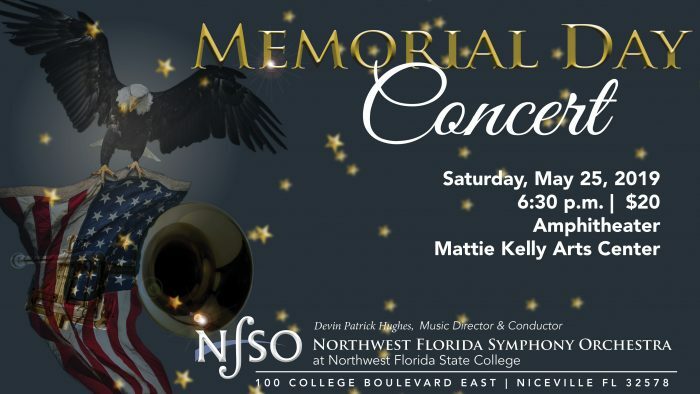 In honor of America's veterans and first responders, the Northwest Florida Symphony Orchestra and Northwest Florida State College present a stirring concert of American music for the whole family. Pack a picnic and enjoy an evening under the stars!